If you have any suggestion about Digital Radio Broadcasting in India then you can login to MyGov website and give feedbacks to TRAI. TRAI has issued a Consultation Paper on Issues related to Digital Radio Broadcasting in India which is can be download from here. Here is some basic information about Digital Radio Broadcasting technology which taken from same consultation paper. At present, terrestrial radio coverage in India is available in Frequency Modulation (FM) mode and Amplitude Modulation (AM) mode (Short Wave and Medium Wave). AIR along with private sector radio broadcasters are providing terrestrial radio broadcast services throughout the country transmitting programs in AM and FM frequency bands. Private sector radio broadcasters are licensed to transmit programs in FM frequency band (88-108 MHz) only and presently operate through 293 radio stations. In Phase-I of FM Radio, the Government auctioned 108 FM radio channels in 40 cities. Out of these, only 21 FM radio channels became operational and subsequently migrated to Phase-II in 2005. Phase-II of FM Radio commenced in 2005 when a total of 337 channels were put on bid across 91 cities having population equal to or more than 3 lakhs. Of 337 channels, 222 channels became operational. At the end of Phase-II, 243 FM Radio channels were operational in 86 cities. In Phase-III expansion of FM radio, 966 FM radio channels are to be made available in 333 cities. In the first batch of Phase-III, 135 private FM Radio channels in 69 cities were auctioned in 2015. Out of these, 96 FM Radio channels in 55 cities have been successfully auctioned. In the second batch of Phase-III, 266 private FM Radio channels in 92 cities were auctioned in 20162. Out of these, 66 FM Radio channels in 48 cities have been successfully auctioned3. As on 31st March 2017, 293 FM radio stations have been made operational in 84 cities by 32 private FM Radio broadcasters. >> Transmission in analog mode is susceptible to Radio Frequency (RF) interference resulting in poorer reception quality. >> Only one channel per transmitter is possible. >> Spectrally inefficient as frequency reuse is limited and radio channels require more spectrum per channel. >>Signal quality may suffer in portable environment such as moving vehicles and on handheld devices. Digital Radio technologies have been developed to overcome problems faced in analog transmission with exciting new capabilities and promises fast growth. Digital Radio provides a number of advantages over analog radio through utilization of advanced technologies. >> Better quality of signal or clear reception with high and consistent sound performance. >> Efficient use of allocated frequency – multiple radio channels can be broadcasted on a single frequency. >> Frequency reuse possible – to cover a large geographical area, it can offer credible “single frequency network (SFN)”. >> Technical perspective – capacity to offer a range of transmission modes to broadcasters. >> Reduced transmission power requirements. >>Impact of noise is minimized and interference is reduced. >> Automatic tuning of various available private and public radio stations. >> Efficient reception of radio channels in static, portable and mobile environments such as moving vehicles, mobile phones etc. >> Emergency Warning Feature (EWF), updates on news and weather etc can be provided simultaneously along with program relay. >> Digitization of radio will allow the government to retrieve spectrum and re-allocate it for more efficient use. >> Possibility of Simulcast allowing broadcasters to save cost of transmitting signal in both formats, analogue as well as digital formats. During 1980s, DAB was introduced as a research project in Europe and was gradually adopted by the different standardization bodies such as ITU and ETSI. The first country to broadcast a range of radio station through DAB was United Kingdom (UK). DAB uses a widebandwidth broadcast technology (described in Annexure). It operates on frequency anywhere above 20 MHz, though allocated spectrum band to DAB is Band III (174-240 MHz) and L band (1452-1492 MHz). DAB has country specific modes of transmission, operating in varied bands according to requirements. In February 2007, DAB+ standard was introduced as an upgraded version of DAB. The forward compatibility of DAB receivers was not in line with the DAB+ receivers i.e. DAB receivers were unable to receive DAB+ programmes. The compression technique used by DAB standard is MPEG-1 Audio Layer 2 audio codec (MP2) while the newer version, DAB+, has adopted a three times more efficient audio compression technique than MP2 called eAAC+ ( HE-ACC version 2 audio codec). This enhanced the received audio quality with the increase in number of available stations. DAB/DAB+ is a popular radio technology around the world which is gaining momentum across Asia Pacific, Europe, Arab nations and South Africa. Today, DAB services reaches out to approximately 418 11 million people. Presently, there are approximately 2090 on air DAB services spreads across 38 countries. Over 55 million DAB/DAB+ receivers have been sold till 2016. Norway is the first country which started the digital switchover in January 2017 and has planned to completely shut down the analog FM by December 2017. Currently, Norway has 60 percent penetration of in-home digital radio receivers and 99 percent population coverage. Digital Radio Mondiale (DRM) is a high quality standard for digital terrestrial radio broadcasting specially designed for switchover to digital radio broadcasting from the current analog radio broadcasting. It operates in two modes across all the radio frequency bands i.e. >> DRM+: This mode covers the radio spectrum above 30 MHz till Band III (174-230 MHz) with FM broadcast (Band II -87.5-108MHz) at the centre. DRM30 system uses AM broadcast frequency bands and is based on signal bandwidths of 9 kHz or 10 kHz. It consists of modes which utilize wider bandwidths of 18 kHz or 20 kHz as well as modes requiring 4.5 kHz or 5 kHz of bandwidth. DRM+ requires a narrow bandwidth and is intended to suit FM broadcast band plan with 100 kHz of inter channel frequency gap. DRM allows broadcasting of single or small numbers of audio services together with bit rates ranging from 37 kbps to 186 kbps, allowing four services simultaneously. This allows DRM to operate parallel to analog transmission. DRM system provides ability to switch depending on the strength of reception and perceived audio quality. It provides three kinds of audio codec’s namely Advanced Audio Codec (ACC), Code Excited Linear Prediction (CELP) and Harmonic Vector Excitation Coding (HVXC), which vary in quality, bit rate requirement and its application. CELP and HVXC are designed for speech-only services requiring lower bit rates, while ACC provides highest quality. DRM system provides low data rates at high quality by utilizing MPEG xHE-ACC and ACC with PS (Parametric Stereo) and SBR (Spectral Band Replication). The modulation technique and channel coding used are Quadrature Amplitude Modulation (QAM) and Coded Orthogonal Frequency Division Multiplexing (COFDM) respectively. The DRM+ system is designed for use in any of the VHF Bands I, II and III, each containing its own channel raster. Several European countries have experimented with DRM. In Germany, UK, Vatican, Sri Lanka and France successful DRM+ trials in frequency band I, II and III have been supported. Currently, DRM+ trials are being held in Sweden. and the audio and data is transmitted through the AM and FM radio stations, hence providing to listeners ,the same program, with either HD (less noisy digital radio ) or standard analog radio broadcast (a standard sound quality). 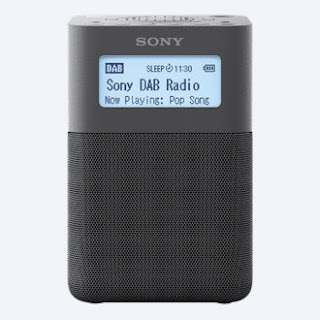 Through a single radio station, HD radio format offers a simultaneous broadcast of one or more programs additionally to the program being transmitted over the analog channel of the radio stations. United States in 2002 designated HD Radio, as a digital radio broadcasting system approved by the Federal Communications Commission (FCC). HD Radio also known as NRSC-5 was the sole system approved for AM and FM radio broadcasting in USA. HD radio transmission uses COFDM pooled with codec techniques to compress the sound signals. HD Radio AM hybrid mode can transmit 40 and 60 kbps of data. IBOC can be either combined with nalogue signal in the same channel or OFDM only. In the LF/MF frequency bands, AM-OFDM mode has bandwidth of 30 kHz while all OFDM modes comprise of 20 kHz bandwidth. In Unites States, HD Radio, also known as IBOC, a trademarked system owned by a consortium of private companies, named iBiquity, has been implemented for digital radio broadcasting on medium wave and VHF band II. In North American countries, iBiquity has successfully achieved high penetration of HD radio technology via automotive OEM (Original Equipment Manufacturer) market. The ISDB-Tsb is a standard for digital radio broadcasting developed in Japan to deliver high-quality sound and data broadcasting with high consistency and provide flexibility, expandability, and commonality for multimedia broadcasting using terrestrial networks. It uses OFDM modulation (particularly band segmented transmission (BST) -OFDM), robust two-dimensional time-frequency interleaving and concatenated error correction codes to produce superior sound quality even at low bit rates. ISDB-T system specified for digital terrestrial television (DTT) and ISDB-Tsb have commonality in physical layer. The system has an extensive range of transmission parameters such as carrier modulation scheme, coding rates of the inner error correction code, and length of time interleaving. ISDB-Tsb embraces MPEG-2 systems and can use high compression audio coding methods such as MPEG-2 ACC. It has commonality and interoperability with many other systems which have adopted MPEG-2 such as ISDB-S, ISDB-T, DVB-S and DVB-T. ISDB-TSB can be operated either as a single transmission with a bandwidth of around 0.5 MHz or 1.5 MHz or as fragment of a full channel ISDB-T transmission in channel bandwidth of either 6,7 or 8 MHz. Japan has adopted a standard known as ISDB-Tsb for digital radio. 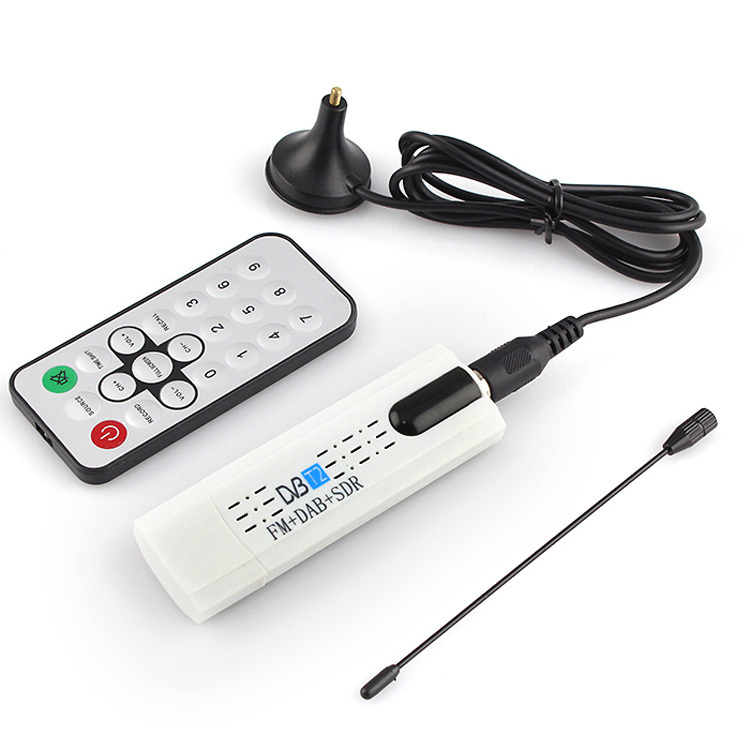 This is related to the ISDB-T television standard and is similar to DAB in operation. However, it has yet to progress beyond test transmissions. More channels are available in the same frequency spectrum as compare with AM and FM transmissions. The more efficient in audio coding thus allows DAB+ to carry 18（or even more）channels in one mux. In conclusion, DAB provides multimedia broadcasting environment that enables the media to develop a new market, and offers the audience better broadcast quality and service. When you first set up a digital converter box or turn on your digital TV, you will not have instant access to channels as with an analog system. This is due to a delay between when your digital device receives a transmission and when it can display it. You may face problem in cloudy days about disconnection of radio signals, digital broadcasting will suddenly cut out if not enough information (signals) is received. You have to find new frequencies to get new programs otherwise, digital TV will only be able broadcast a limited amount of programming. In conclusion, by using DAB. you may suffer little problem but you will get amazing digital sound. Through the consultation paper, TRAI seeks stakeholders’ comments & counter comments on various issues relating to development of an eco-system for deployment of Digital radio broadcasting by private FM radio broadcasters by 04.09.2017 & 18.09.2017 respectively. The consultation paper can be viewed here. Last date of submission of suggestions is 18th September, 2017, midnight.